Before it came to be known as the hyper commercialized UEFA Champions League, the greatest cup competition on the continent was known as the European Cup. In the early days it was a nice two-legged knockout tournament that included only actual league champions and concluded with a single match final. For the first five years of the competition the cup was the sole possession of the great Real Madrid side of Alfredo Di Stefano and friends. In 1961 though their stranglehold on the cup finally ended when they were beaten in the semi-final by Barcelona, who would themselves fall in the final to Portuguese champions Benfica in Switzerland. 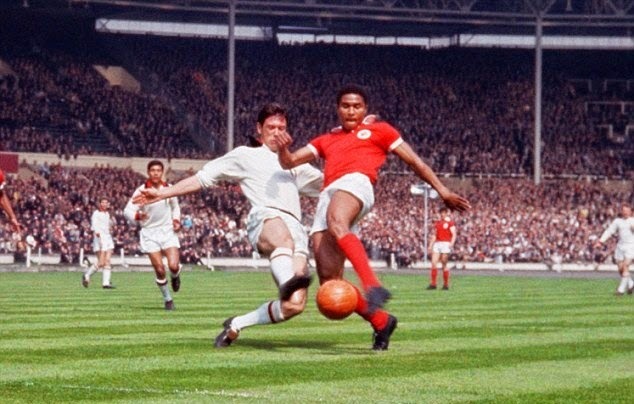 Benfica, bolstered by the emergence of the mercurial Eusébio, would repeat as European Cup winners in 1962 when they hammered Real Madrid, in a symbolic last hurrah for the old champions, by a score of 5-3. 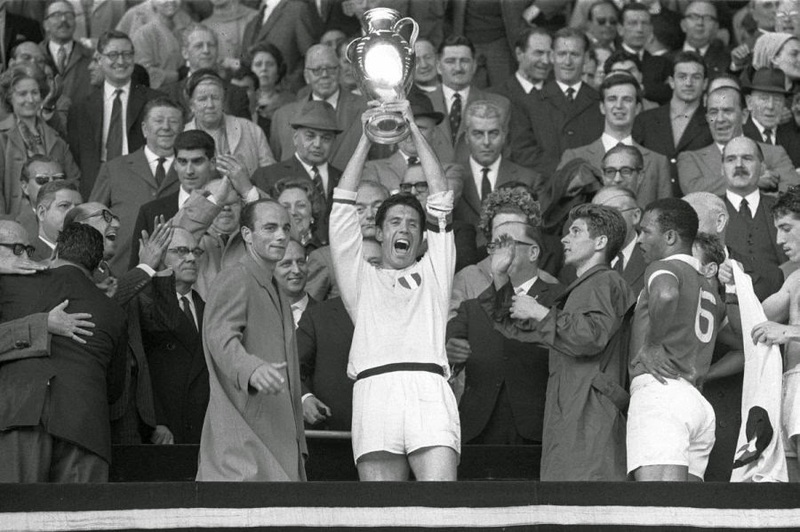 On 22 May 1963 at Wembley Stadium in England, Benfica were widely tipped to add a third straight title as they took on AC Milan and thus keep the cup in Southern Europe. 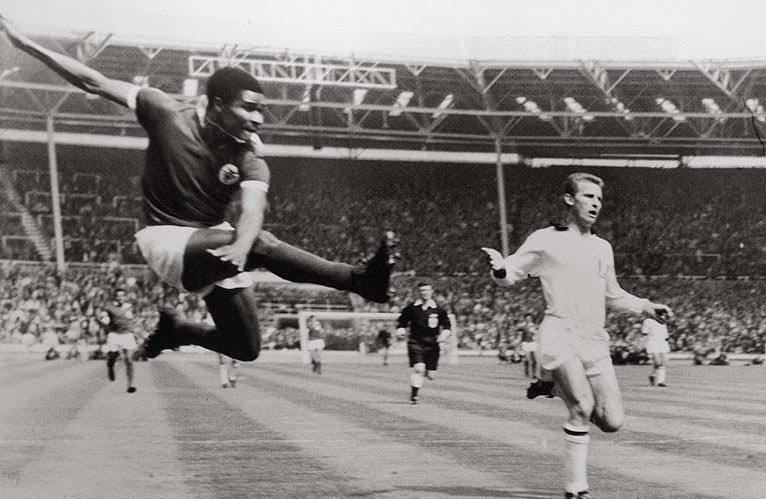 The great Eusébio rocketed his side into the lead in the 18th minute when he blasted one of his trademark right foot thunderbolts past Milan keeper Giorgio Ghezz to the delight of the watching 45,700 strong crowd. Although Benfica were initially in the ascendancy, AC Milan held strong and finally in the 58th minute they found a breakthrough with a goal from Brazilian born striker José Altafini. Eight minutes later Altafini found the net again to put the Italian side into a lead they would not squander and Milan had won the first of their eventual seven European Cup titles. As for Benfica they would go on to four more European Cup Finals, but would lose all of them. They have also finished as runners-up in the UEFA Cup/Europa League on another three occasions. Wembley Stadium itself would prove to be a very unhappy venue for Eusébio as he would break down in tears after losing the 1966 World Cup semi-final to England under the famous twin towers and also lose in extra-time to Manchester United in the 1968 European Cup Final at the same venue.